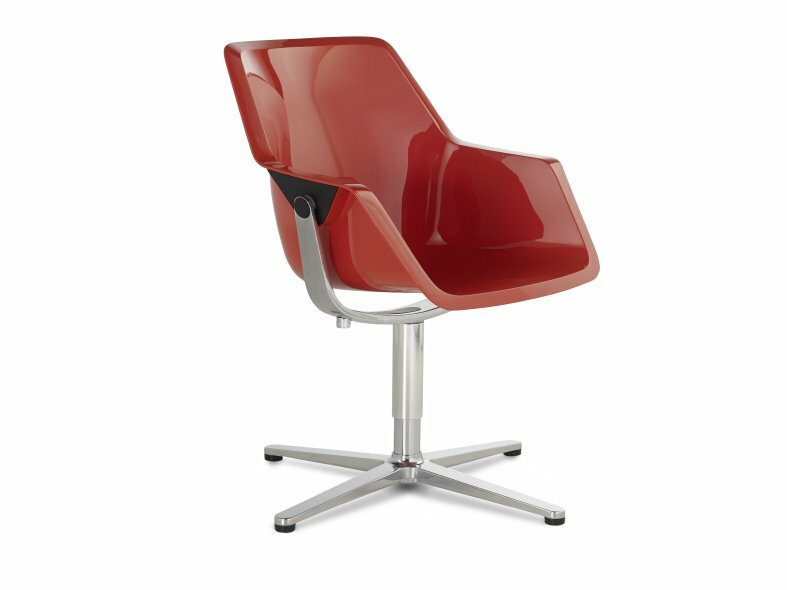 Viasit re-pend chair is available in three shell colours, red, black and white. The solid shells are made of highly durable, scratch resistant, polyamid (PA) in a high-gloss finish. The inside of the re-pend shell can also be fully upholstered or have a seat pad. 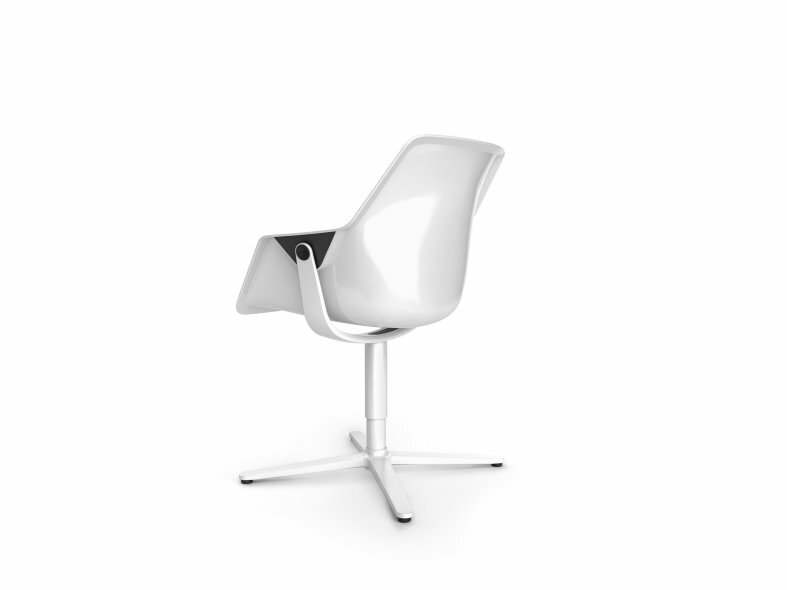 The frame of the chair comes in a powder coated white paint finish or polished aluminium. 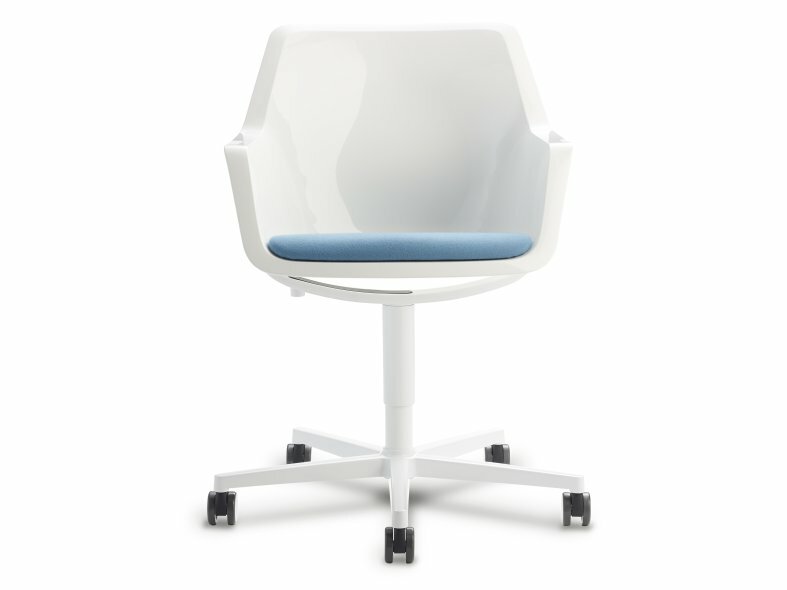 Re-pend adjusts to your movements in lounges, cafe areas, restaurants and collaborative spaces. 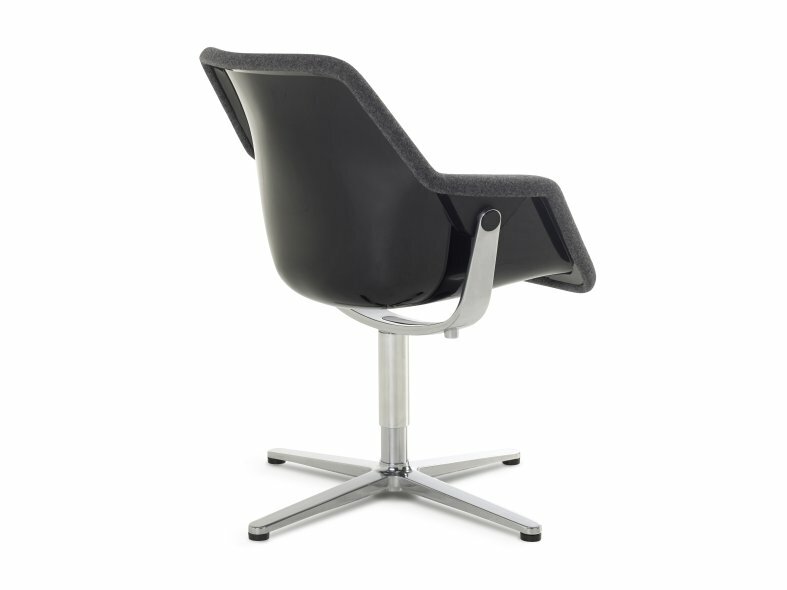 The standard version re-pend chair has a clean and contemporary design that is sturdy, practical, scratch resistant and washable. 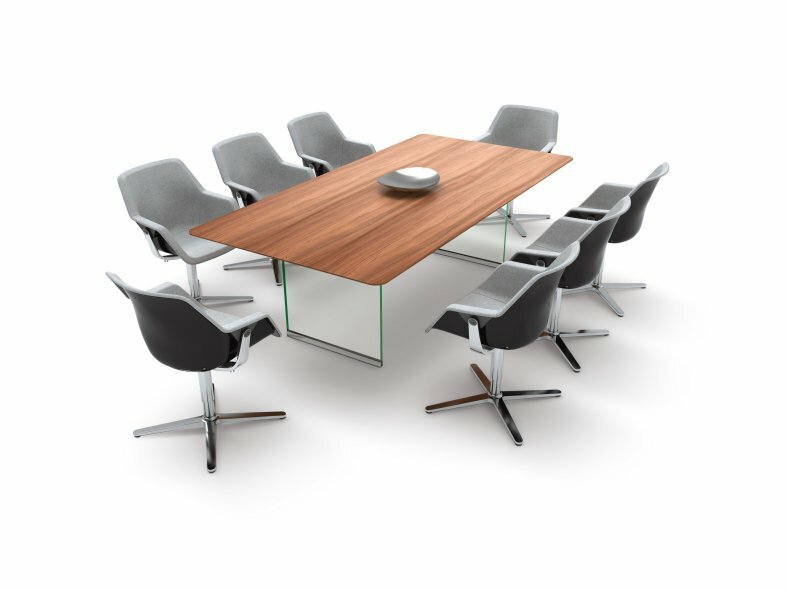 A meeting or conference chair usually mean long periods of static sitting and it is important to lean back comfortably or lean forward to concentrate on documents or conversations and the re-pend swivel chair will support you in any sitting position. The interior upholstery of the re-pend shell is very comfortable, while, at the same time providing a classic, stunning contrast to the high-gloss surface of the back of the shell. When working in a group or team ease of movement is required with its swivel concept and unobtrusive design re-pend is a chair that rolls, turns and allows dynamic movements. Good chair design is simple and Viasit's re-pend has no need for complicated technology. Using only a vulcanised rubber bearing, the intelligent pivot position makes the entire movement possible without any noise or friction. re-pend is a shell chair for a multitude of applications meeting, working, communicating relaxing and enjoying. A swinging movement whilst sitting at its most comfortable when the axis of motion is above the hip joint making the forward and rearward movements a natural balance for the body and the re-pend chair makes this possible.